Pillow size: length 55 cm, girth 60 cm. Materials: Monica Yarns "Baby Alpaca Peru" yarn (100% alpaca, 100 m / 50 g): 200 g of light green color No. 720; circle, needles number 5 100 cm long hook number 4.5; filler for the roller. Pattern with braids B: knit according to scheme B. Distribute the paragraph according to the instructions. 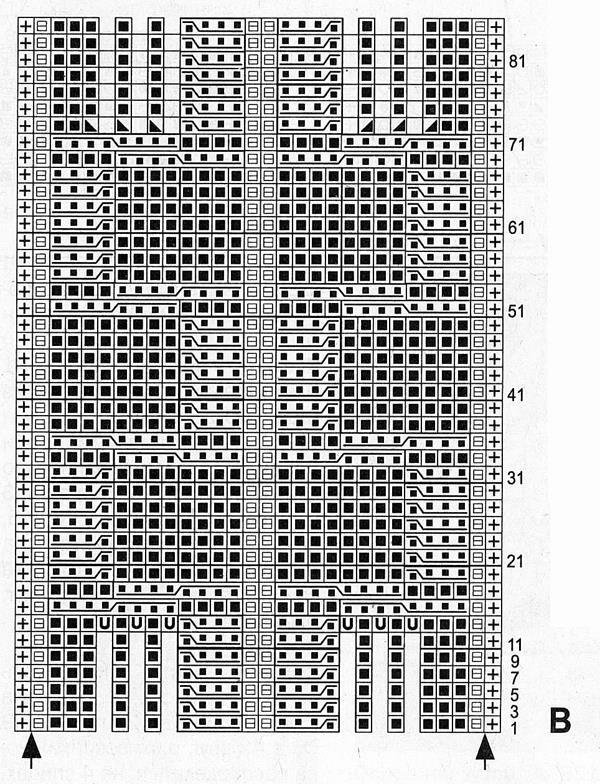 Knit 1x p. 1-14, 5x p. 33-68, 1x p. 69-86. 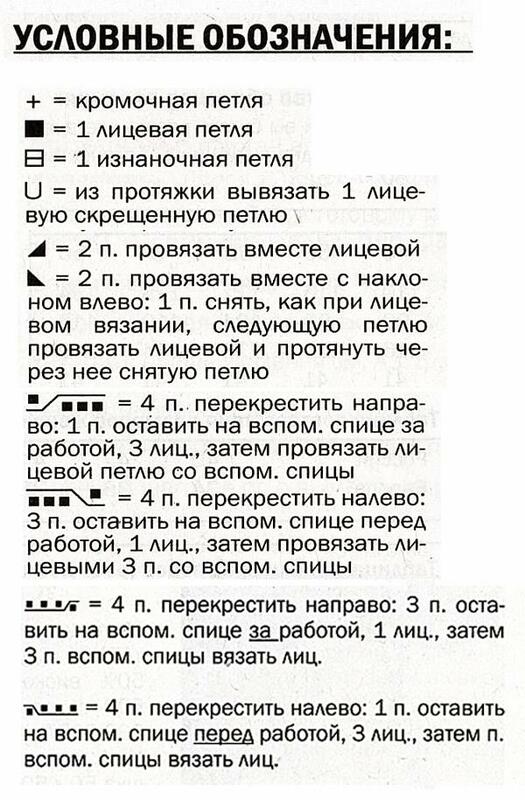 Crochet hem: crochet according to the scheme, start at the arrow a and constantly repeat the rapport = 30 st. b.n. between arrows b and c. If the symbols converge downwards, knit from the same vertex, and if they converge upwards, knit the item together. Knitting density: 26.5 and 25 p. pattern with braids in the needles number 5 = 10 x 10 cm; 1 rapport and 10 p. crochet border number 4,5 = 12 x 16.5 cm. Progress: dial 116 p. And knit 1 p. = ex. R. from p. Then distribute the p. trace in the following way: Krom., 2 p. smooth surface, patterned with braids. In 5x rapports between the arrows, 2 p. smooth After the 73rd p. Scheme B on the needle again 116 p. Close p.
Assembly: sew type and closed edges. Tie open sides of the roller with a crochet edging: in the 1st circle. R. knit 120 st. b. n = 4 rapport between arrows. Weave 2 cords approximately 80 cm long, see p. 98, of 12 threads and pull through the 2nd circle. R. rims. Attach the filler and tie the cords on the knot.